Each day for a week, I'm sharing one of my favourite images from 2017. Today's photograph was made in a Tea House in the Himalayan Annapurna range. After dinner, when the guests' cutlery and plates have been cleared away, the electrical power is often cut to conserve energy. 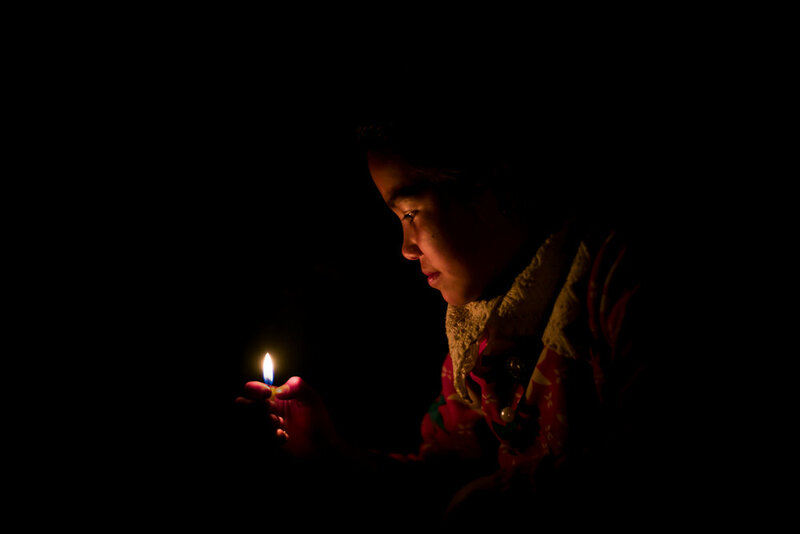 Candles are placed on dining tables and this young girl's face was caught in the glow of a solitary flame. So often these days, camera manufacturers boast about the "High Dynamic Range" that cameras are capable of capturing. Yet many of my favourite photographs are made special by their limited tonal range. Whilst "do it all" cameras might seem appealing, I'm old fashioned enough to believe that there's still some value in the photographer's ability to judge and adjust exposure settings to produce an image which conveys some atmosphere and is, perhaps, a little magical.